All results and rankings after the European Masters in Bitburg are online! Sunday Club at the Millenium Series European Masters. 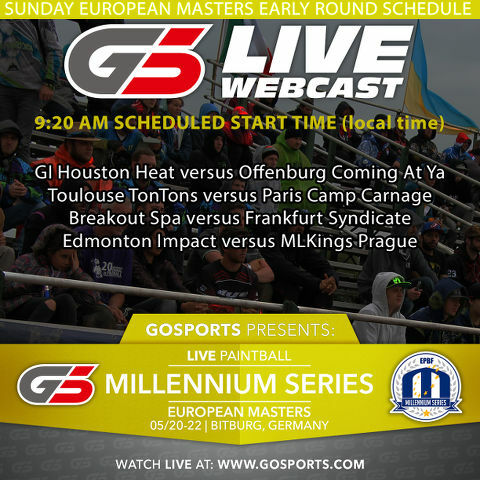 Watch the Best Pro Paintball Teams in the World LIVE! 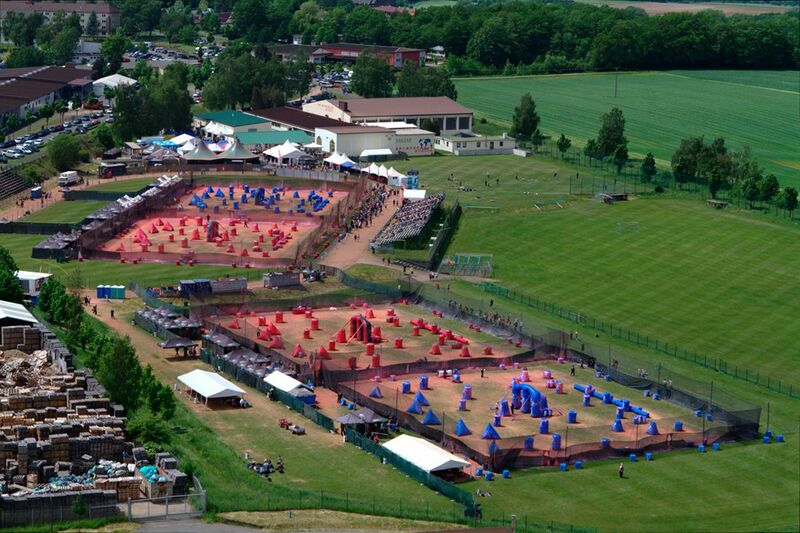 It's been quite an event here in Bitburg, Germany at the Millenium Series Masters. Teams from all over the world have battled for two days and the best of the best are ready to face off today beginning at 9:20AM local time. Watch GI Houston Heat, Edmonton Impact, ML Kings are more today LIVE only at www.GoSports.com. Watch all of the CPL Field Games Including the Ladies Nations Cup. We are streaming LIVE right now from Bitburg, Germany. Watch all of the CPL teams battle for European supremacy for three days as Edmonton Impact tries to defend its win in Barcelona, Spain. Also, we will be broadcasting ALL of the LADIES Nations Cup games, all rounds, all games. The first games kick off at Friday 5 PM, Saturday 3 PM local Bitburg, Germany time. Due to the serious safety concerns please note that NO young children or dogs will be allowed in the team pits or staging areas! 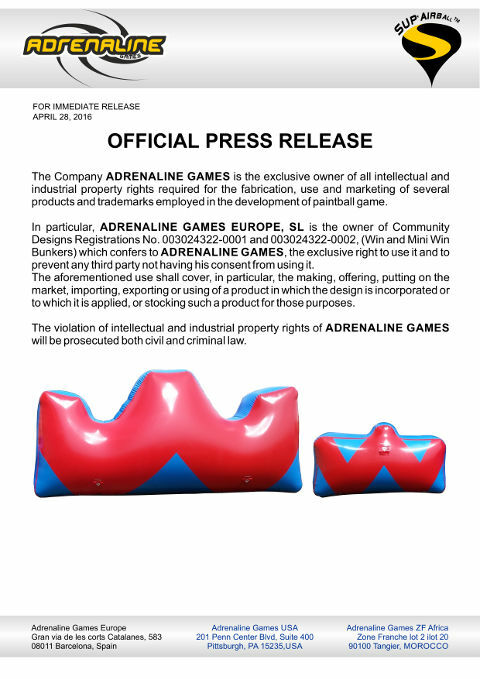 The Millennium will be holding this year’s UK event once again at Barleylands Show Ground in Basildon, near London, providing a summer festival of paintball. With plenty of on-site camping facilities, making the event affordable for all, the G5 Sports Bar, which will be open early to late and showing all the weekends major sporting events, the close by Festival Park with its many bars, nightclubs, restaurants & hotels, there will be a great party atmosphere together with first class tournament paintball.